There are over a billion people in China! Granted, not all of them want to learn English, but for the younger generation, learning English is mandatory. 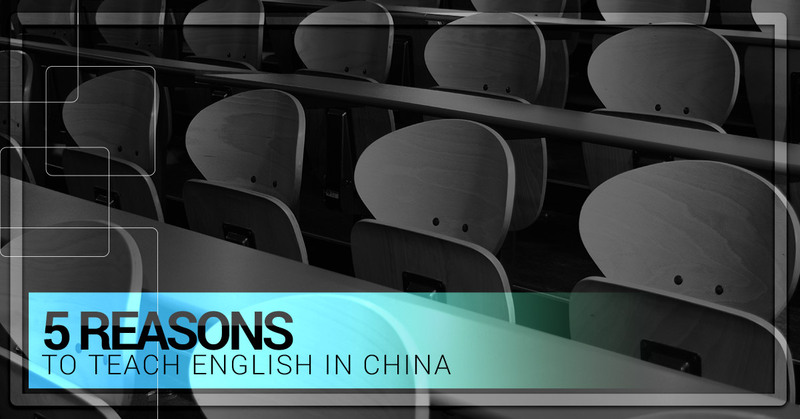 Currently, native English speakers are needed in cities all around China to teach English. However, as more and more Chinese people study abroad and become fluent in English themselves, this strong demand for foreign English teachers will diminish. Teach in English soon while demand is high. Unless you’re originally from Asia, China will most likely knock your socks off. Almost everyday you will see something that will shock or surprise you. Not only that, there are endless things to do. If you’re an active person, you should be able to find plenty of outdoor and indoor activities to keep you fit. If you love nature, China’s landscapes range from lush green hills to blue oceans to snow-capped mountains to mesmerizing rice paddies. If you’re artsy or creative, there are shows and exhibits to see all around town in first tier cities such as Shanghai, Guangzhou or Beijing. If you’re a foodie, Chinese cuisine is extremely diverse and delicious. Good luck trying to eat at all the different restaurants in town! To become a true Chinese cuisine expert, you’ll want to get the real deal by traveling to each province and tasting the local specialties made with locally grown food. China attracts foreigners from all corners of the earth whether they are there for fun, professional work, or to teach English. While you are teaching in China, you will most definitely run into all kinds of different people and make friends for life from around the globe!